Chromebooks come with leading Google products built in, like Gmail, Search, Google Drive and Hangouts, so you can get to work right out of the box. And with the Chrome management console, admins can easily control users, devices and apps across a fleet of Chromebooks. Create and share documents with Google Drive, check your Gmail, or video chat with Hangouts, and more, with built-in apps. 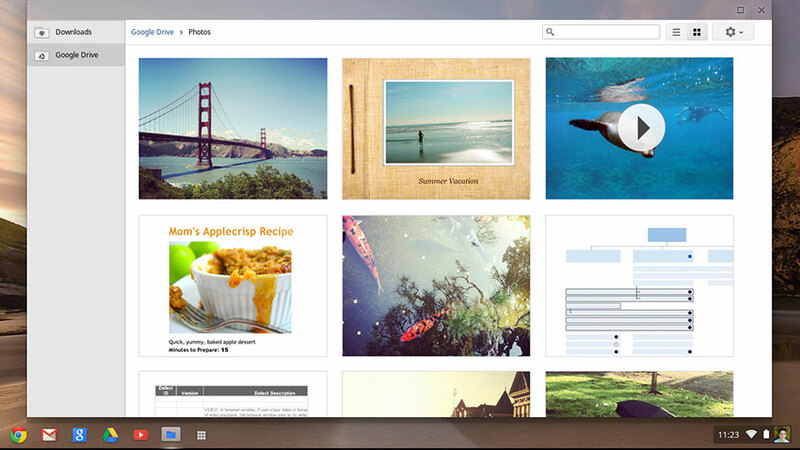 Load websites in a snap with the built-in Chrome browser, the world’s most popular web browser. With Chrome Instant, web pages that you frequently visit begin loading as soon as you start typing their URLs. Chromebooks sync seamlessly with your Android phone, tablet and all other devices running Chrome, so you can access your bookmarks, files and other settings everywhere. 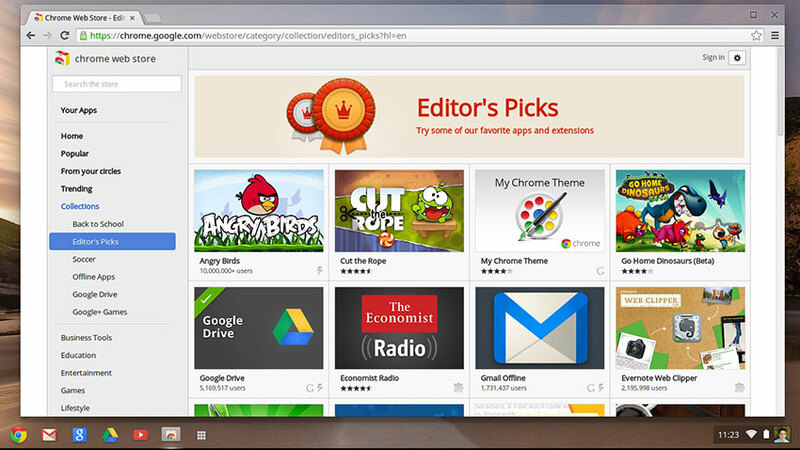 Use thousands of top business apps, from across the web as well as in the Chrome Web Store. Track customers, plan projects, manage inventory – you can do it all. Create documents, update sales forecasts, manage inventory and plan projects with apps like Google Docs, Salesforce.com, Workday, Zoho or SlideRocket. With Chrome Remote Desktop and Citrix Receiver, you can access and run software stored on any of your other computers or servers, securely over the Internet. And Admins can remotely pre-install and block apps via the management console. Talk face to face and connect with up to 9 people using Google+ Hangouts. You can also integrate multiple chat accounts with apps like imo or eBuddy. Edit beautiful photos for presentations and for fun with apps like Pixlr Editor and organise them with your favourite photos site. You can also create marketing and internal videos with Stupeflix or YouTube Video Editor. Chromebooks offers offline apps, like Google Docs and Gmail Offline, which means you can stay productive during the rare times you are disconnected from the web. 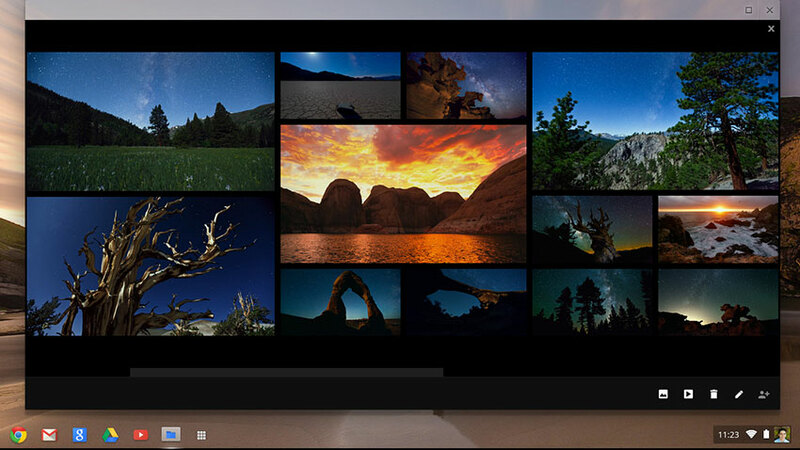 Enjoy a large selection of your favourite songs, videos and movies on your Chrome device. You can stream music with apps like Pandora or organise your personal music collection with Google Play. For movies and videos, try Netflix or YouTube. Never worry about syncing your media again. 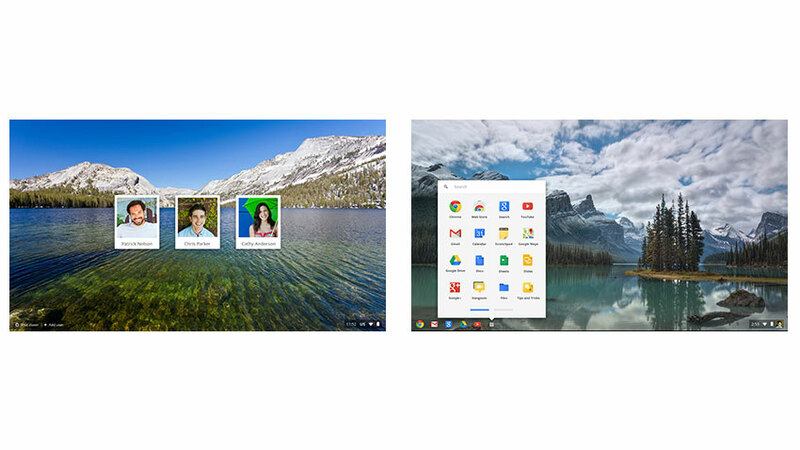 Share between colleagues or use Chromebooks as customer and employee kiosks. Multiple logins allow you to give users their own personalised apps, settings and bookmarks when they log in. In Guest Mode, users can't access any data stored on the Chromebook, and all of their browsing history is deleted when they finish their session. With Managed Public Sessions, you can customise a Chromebook, including branding, session time-out and available apps and sites, without requiring a login. Chromebook kiosks are great for retail stores, manufacturing floors, hotel business centres and libraries. With security built in, you can share your Chromebook with others without fear of common computer problems like accidental software installations, malware, unauthorised data access or altered settings. Chromebooks are designed to help you get everyday things done - faster, easier and safer. They boot up in seconds, never slow down, are easy to manage and require no ongoing maintenance. So you can do more, and worry less. Chromebooks boot up in under 10 seconds, and resume instantly. Unlike other computers, Chromebooks avoid the bloat of old software and don’t slow down over time. With the automatic updates, Chromebooks download and install security and software updates so you don’t have to. And you can use the management console to control user, device and app policies across a fleet of Chromebooks. Chromebooks have multiple layers of security to keep you safe from viruses and malware without needing any additional security software. With Google Drive, all your files are backed up online, safely and securely, even if your Chromebook accidentally takes a swim. Fast, secure, easy to manage. Click here to view the range.